did suzuki change their motor half way during the year..everthing else on this bike fit like a glove just that one thing stopping me from ripping. Last edited by mxdee123; 08-22-2015 at 12:47 PM. It does sound like you need the o rings instead. Double check your cylinder head to see if there's a recessed area for an o ring to sit in. Now I have a 94 RMX 250, which is based off the 89 RM 250. However, my head says 28C1 and E1. That head uses a regular gasket, so yours saying 28C2 probably means you need an o ring. 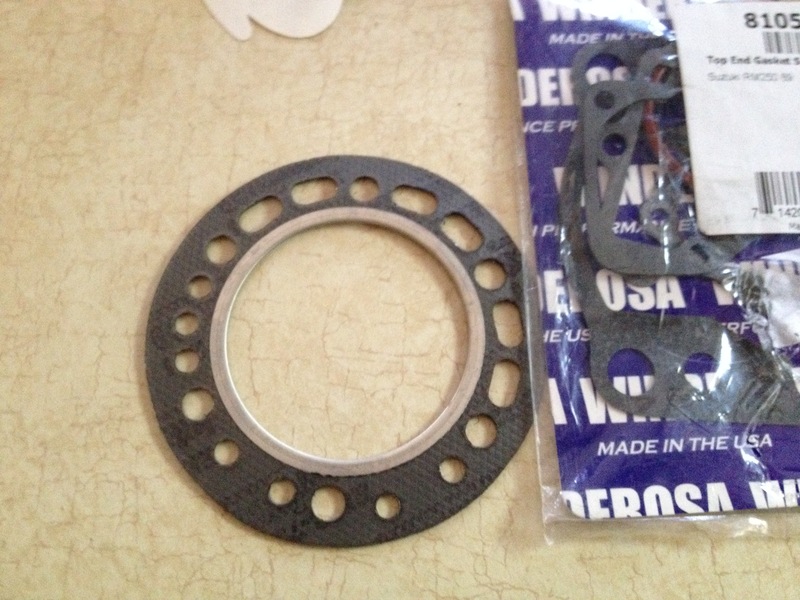 Not sure as to why there's 2 types of heads and gaskets for the 89 RM 250. Maybe one is california spec? What is the fuel to oil ratio for a 1989 rm 250?